sailboat. 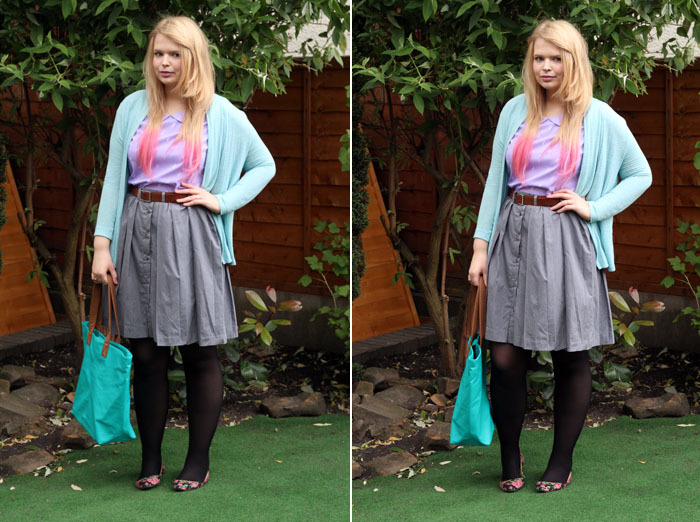 : What I Wore: I Like Horses - Wear Your Wardrobe 04. What a cute outfit! I like how you used the cardigan with it. And to answer your question the only change I would personally have done is probably wear a white skirt or beige. 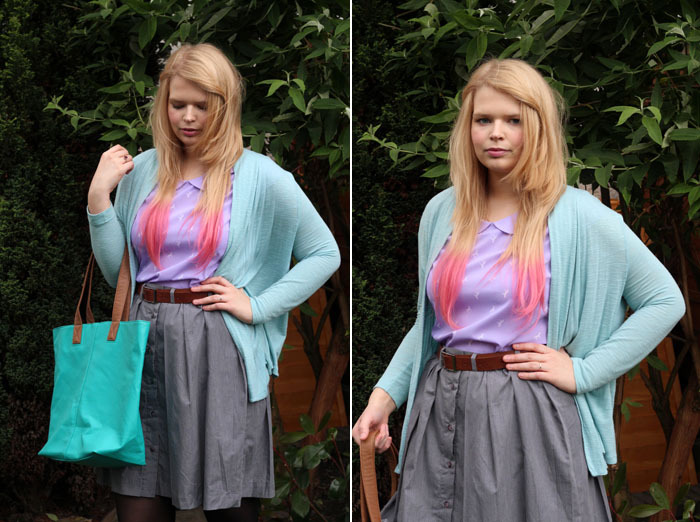 That skirt is great - i'm a big fan of grey and it really sets off the purple and the mint green. 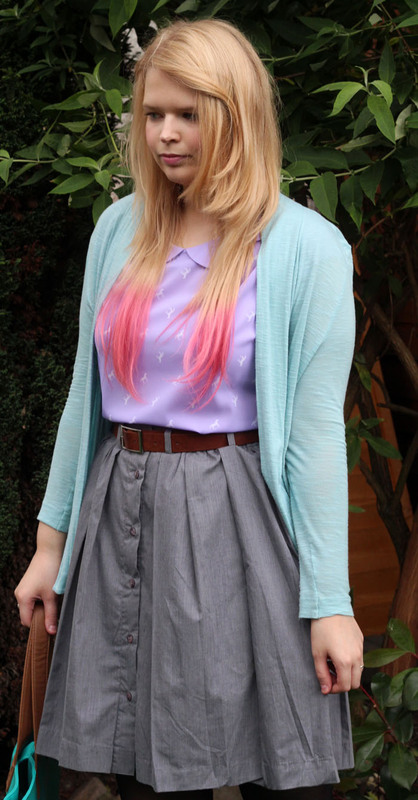 Such a cute outfit, the colours look so cute together and I'm loving your hair!! 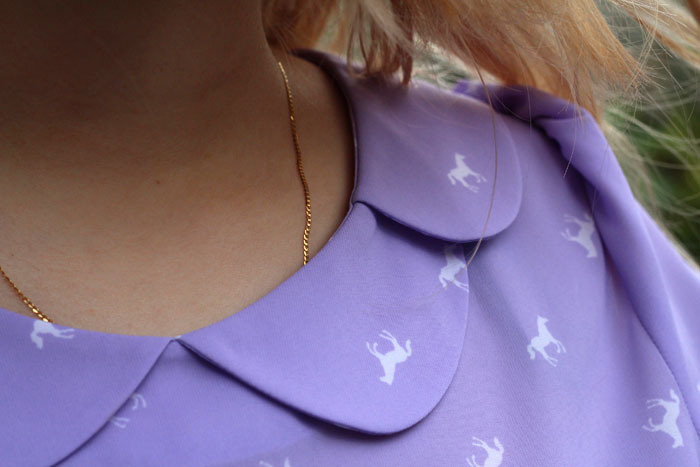 I adore the horse print, that's such a pretty shade of purple too! And I've just noticed your little stick people: Mark, Jennie and Ralphie, so cute! still completely in love with your hair! the skirt is a great staple piece - such a classic, flattering design! i love the top you've styled it with - it's whimsical & i love that. great look! I really don't lke horses - at all - but for some reason I adore this shirt! the double peter pan collar is so lovely! I love little scallop detailings. that blouse is so lovely! I don't really wear purple much but I am tempted by that. I'm kind of in love with your hair. And the shirt skirt. The tutorials floating around Pinterest make it look so easy to make one of these, but they don't take lack of sewing skills into account. Would love to find one in the store and save the headache!